Home News McIlroy’s Masters Goal Changes From ‘Wanting A Green Jacket’ To ‘I’d Love A Green Jacket’. McIlroy’s Masters Goal Changes From ‘Wanting A Green Jacket’ To ‘I’d Love A Green Jacket’. With just over two weeks to the Masters and a new consciousness alert Rory McIlroy has gone from declaring ‘I need to win a Masters’ to ‘I would love to win the Masters’. 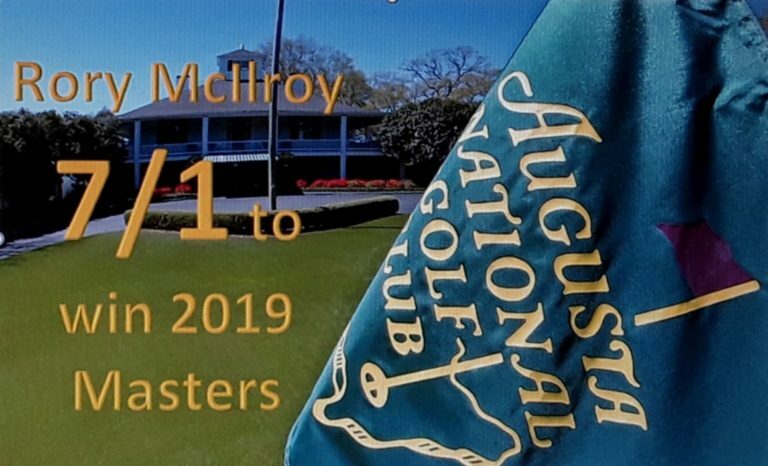 McIlroy will head to Augusta National in what will be take ‘five’ in a goal to win the one Major he requires to gain membership in the elite of elitist golf clubs. He’s currently a 7/1 favourite to be fitted with an Augusta National members green jacket and on the eve of this week’s WGC – Dell Technologies Match-Play he was asked about winning the Grand Slam has evolved over the years. “There’s a difference between a personal desire and a need, and I think I have separated those two over the last couple of years ago,” he said. “I would have said a couple of years ago, ‘I need a to win a Masters. I need a green jacket.’ Where now it’s: ‘I want to. I want win it and I’d love to win it. But if I don’t, I’m okay. “And I think that is the difference. “Maybe some people will say that I am not motivated enough but believe me I am motivated to make the most of what I have and to put my name among some of the greats of our game. “But at the same time, knowing that in golf you feel … my win percentage since I turned pro is around 10% which is pretty good for golf so knowing nine times out of 10 you are going to fail that is freedom, as well. “So, I am going to try my arse off here and I am probably not going to win but as long as you can take positives from it you move onto the next tournament and the next tournament, and you keep going with what you want to do and you keep learning. “Look, I’ve had 10-years learning at Augusta and I have had some tough times and all of those if I do one day and I am able to get that green jacket at the end of 72-holes then all of those experiences would have played a part in helping me to do that. “So, have I desire to do that? Yes.